JALALABAD -- Afghan security forces have launched a series of clearance operations against Taliban and "Islamic State of Iraq and Syria" (ISIS) militants in Nangarhar Province. Afghan forces are also conducting operations against ISIS fighters in Khogyani District, aided by air support from the coalition forces. Those operations have been proceeding for the past month. The raids in Chaparhar involved forces from the 4th Infantry Division of the Afghan National Army (ANA), 1st Border Division and 7th Division of the Public Order Police. The Afghan National Police (ANP), intelligence personnel from the National Directorate of Security (NDS) and Afghan commandos also took part. 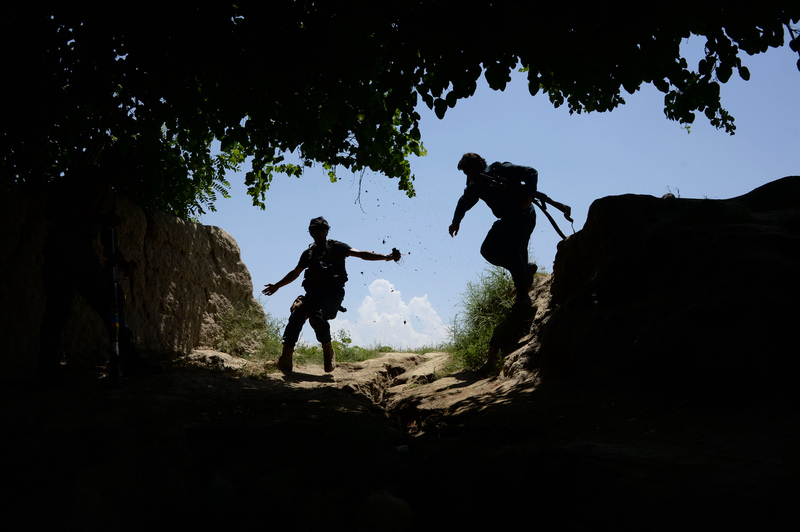 "[Afghan forces] have killed five Taliban militants and detained 27 others for [their] links with armed groups," said a statement released September 13 by Nangarhar's provincial police. The troops cleared a large number of areas of militants and seized many light and heavy weapons, said the statement. "[Afghan] security forces seized 30kg of explosives during an operation in Chaparhar District Saturday [September 15]," the Nangarhar provincial media office said in another statement that day. "Neighborhoods such as Abdur Rahmani, Spin Jumat, Sholana, Geratek, Lalma, Sulaimankhil, Sangina, Pul Dago, Ghulam Dagg and several other villages in Chaparhar were cleared in these operations," Ataullah Khogyani, spokesman for Nangarhar's provincial governor, told Salaam Times on September 14. "According to civilians and to intelligence reports from the region, 19 ISIS militants were killed and tens of others injured during the ground and air offensive [in Chaparhar]," Khogyani added. Neither Afghan forces nor civilians suffered casualties in the operations, said Khogyani. "These operations will continue until we have cleared all villages in Chaparhar of [militants]," Brig. Gen. Mohammad Karim Niazi, commander of the 4th Infantry Division, told Salaam Times. "Joint elements of the Afghan security forces are in the [Nangarhar] province and are making efforts day and night to establish a secure environment for the residents and ahead of the upcoming [parliamentary] elections," Niazi said. "There were members of ISIS in our village. We suffered greatly from their presence during the past year," Sabirullah, 28, a resident of the Ghulam Dag area of Chaparhar, told Salaam Times. "Now the government [forces] are here," he added. "We are happy with them, but we request that they may keep these areas [under their control], and I am sure that they will keep them [under their control]." "[Ground and aerial] bombardments are also under way," he said. "ISIS militants will not rise again. They will either die or escape. The government should remain active [against these militants] to protect the civilians." 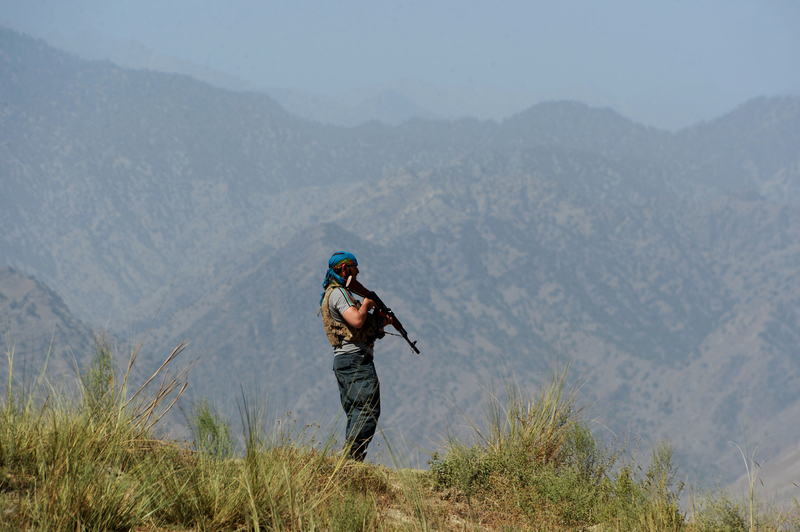 "The recent operations by Afghan forces were very effective, and they have broken the backbone of ISIS," Obaidullah Shinwari, deputy chairman of the Nangarhar Provincial Council, told Salaam Times. "My plea is that the [Afghan] government permanently keep the areas it has seized back from ISIS under Afghan control so that these barbaric groups do not kill civilians again," Shinwari said. Afghan National Defence and Security Forces have already launched an operation to re-take the area from ISIS, officials say. Four ISIS fighters were recently killed and the rest have taken refuge in the mountains following new clashes between militants and popular uprising forces.